All of Naturetrek’s staff offer a friendly, flexible and expert service. Most have been with the company a long time and know the trade inside out. All our staff have a very keen interest in natural history, conservation and travel, and we pride ourselves on the extremely personal and knowledgeable service we offer you. You can find details about individual members of staff below. Andy cut his birding teeth in the YOC in primary school and later on coach trips run by his local RSPB group. Growing up with a love of mountains, sport, wildlife and adventure, he completed the Land’s End to John O’Groats bike ride at 16 and went on to study Aquatic Biology at Aberystwyth. This led to work in fisheries consultancy for a year after graduation and then travel to south-east Peru (Tambopata) in 1996 to work as a guide in the Amazon rainforest. He followed this with a year in the Ecuadorian Amazon. Between guiding commitments, he took the opportunity to travel around the continent, studying the birds, wildlife, culture and Spanish language. He joined Naturetrek in 1998, initially to combine tour leading with work in our Operations Department. Nowadays, as General Manager, Andy remains heavily involved in product development and tour operations and still manages to lead the odd tour occasionally. However he’s equally likely to be found analysing customer feedback, strategising, and grappling with industry issues, HR and online marketing. Away from the world of wildlife travel, Andy has exchanged his football boots for running trainers, remains a keen but occasional cricketer, and is a lifelong supporter of Watford FC. David, the company’s managing director, began Naturetrek in 1986 with his wife, Maryanne. Although trained as a solicitor, David has always loved travel, mountains and wildlife. He has a wealth of experience in Europe, Australasia and Africa, and still more in India and the Himalayan countries, plus an extensive knowledge of their natural history. For two years he trekked independently through every region of the Himalaya, studying and photographing its wildlife. Since then he has written articles, contributed to books, and led and organised many treks there and in Africa. Other travels have taken him throughout South-east Asia and the Middle East. His interests focus on birds and mammals, and the history and culture of the Himalaya. He is also passionate about cricket, and has been a chairman, player (with his sons), supporter and Colts coach-manager at the Southern League club, Hambledon CC – the ‘Cradle of Cricket’. David lives nearby in a quiet corner of Hampshire, together with Maryanne and their sons, Thomas and Oliver. 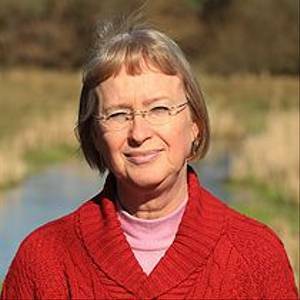 Maryanne is a zoologist from Perth, Western Australia, who co-founded Naturetrek in 1986 with her English husband, David. Prior to her overseas travels she worked as an ecological consultant surveying the wildlife in some of the remote parts of Australia, including the Great Sandy Desert, Barrier Reef and central Australia. A keen walker, she has undertaken several extended backpacking expeditions through the wilderness regions of Tasmania and northern Australia, and was a member of the 1988 Royal Geographical Society's expedition to the remote Kimberley in north-western Australia where she studied the mammals. 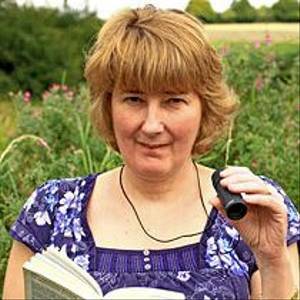 A keen photographer and writer, she has published articles in a number of walking and natural history magazines. Today, Maryanne, a director of Naturetrek, looks after the operation of all our tours to Australia and New Zealand as well as acting as the company’s responsible tourism officer. Like David and their sons, she is a keen cricket follower, supporting Hampshire, Australia, and Western Australia for whom her father played when she was growing up. Katryn trained to join the Merchant Navy as a Radio Officer, but with the decline of the British shipping industry, globe-trotting was not on the cards so she went to work as an engineer for the BBC, travelling widely in England and Wales. 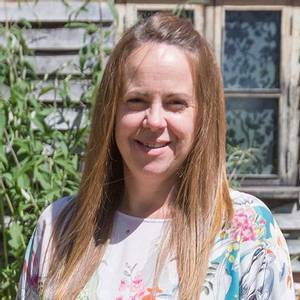 After a little bit of self-reinvention she gained a maths degree from Reading University, and after bringing up her children entered the world of accounting, looking after a number of small businesses, before coming to NT. Katryn has a keen interest in wildlife, especially in plants as “they don’t move when you look at the book”. Katryn was involved for many years with her local woodland conservation group, undertaking activities such as coppicing, hedge laying, flora, mammal and bird surveys, charcoal burning and putting on moth and bat evenings. She lives in Hampshire with her family and enjoys bell ringing and gardening. 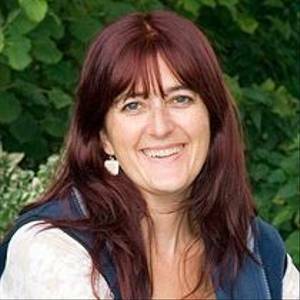 Gini came to work for Naturetrek in November 1997 after spending two years in the Falkland Islands where she was employed by the Falkland Islands Tourist Board. Apart from arranging tours of the Islands, including those for Naturetrek, much of her time was spent exploring with her twin daughters who were also fascinated by the abundance of wildlife there. They would spend countless hours watching the penguins’ antics, from the hilarious but cross-looking Rockhoppers to the aloof Kings who tried desperately to keep their chicks from playing with her daughters! Although Gini is now completely office bound, it doesn’t stop her dreaming of all the wonderful places we can send you to. Gini is the manager of our very busy reservations department which deals with all the bookings we receive and makes sure everyone is invoiced for their holidays! She also takes care of any of your insurance queries. Simon has had a keen interest in wildlife and the outdoor life since childhood. This led him to study for a degree in Zoology with Marine Zoology at the University of Wales in Bangor, a base from which he spent a great deal of time walking in the stunning surroundings of Snowdonia. After graduating, Simon spent five months in Colorado working on a project to record the breeding success of Peregrine Falcons in river canyons ... a study that involved ample opportunities for intrepid river-rafting expeditions in search of his quarry! A summer spent carrying out ecological surveys all over England was followed by a range of projects overseas. Amongst the latter, Simon helped to start up a radio-tracking project in Hungary to monitor breeding Barn Owls for the Hungarian Barn Owl Foundation. He also spent time in Mexico, where he worked as a field assistant helping to collect data for a PhD project. This involved him spending his days in a canoe amongst the mangroves recording the behaviour and feeding ecology of Black Howler Monkeys (though at times it included learning the hard way what Howler Monkeys deposit from the tree-tops!). Both these projects gave Simon valuable field experience and, on returning to the UK, he worked at Marwell Wildlife before joining Naturetrek's busy Sales and Reservations team in 2013. 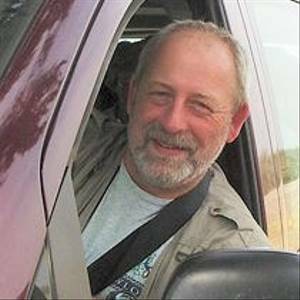 Simon lives locally, has a passion for walking and photography, and an ambition to travel next to Africa in search of wildlife. Annie still has strong memories from the Naturetrek holiday she took many years ago and these in themselves are a testimony to proving how passionate the team are about the experiences they share with our clients. Her previous roles have always been within a service industry, her first at Harrods, the epitome of customer service. Her passion for the natural world, inspired by her primary school teacher who would stop lessons to make the class identify the first fieldfares or bring into the classroom an egg box full of stinkhorns (still an evocative smell today!) results in her family now exploring woodlands, beachcombing and even overwintering young hedgehogs. Annie has always enjoyed seeking out the wilder places, slightly off the tourist trail, from Alaska to Zambia and many countries in between. Now her family travels are not yet as far flung, mainly Europe and the four corners of the UK. However, she is always actively encouraging her children to have an interest in nature and to develop the patience required to gain maximum results, whether this be sitting watching hares locally or dolphins off Mull and of course hunting out stink horns! After leaving school Janice decided to follow a life of crime! She hastens to add that she joined the Civil Service and worked for many years in the Crown Court as a Court Clerk. Before taking an early severance package in 2009, she worked in a specialist team which assessed the fees and costs of barristers and solicitors on criminal cases. Janice then worked on a self-employed basis in the Crown Court, tape recording criminal proceedings until February 2012. She joined Naturetrek in October 2012 where she currently works in the Reservations Department. Janice enjoys travelling and together with her husband, Alan, they have visited many wonderful places throughout Europe and the Caribbean. Highlights have been swimming with dolphins, dancing with flamingos, climbing a Mayan temple and trekking through a rain forest in Tobago. She also enjoys reading and dining out. Having travelled a lot from a young age and having been brought up in many different countries, Georgia has always had a strong connection with wildlife and nature. She has lived half of her life in Thailand and has worked in tourism since the age of 18. Georgia has always been very ‘outdoorsy’ and would spend most of her spare time trekking to waterfalls and in or by the ocean. She has had many lucky experiences such as diving with Whale Sharks and also living in a paddy field house around which many species of snakes, frogs and insects thrived. As well as going rock climbing most days, she was regularly taken on jungle treks and swimming in natural lagoons and lakes! Georgia has spent most of her adult life back in the UK and has been working in travel as an adventure specialist, offering great inside knowledge and her own experiences of destinations to her clients. She spends her spare time on walks with her family around the beautiful English countryside, wishing she had a dog! 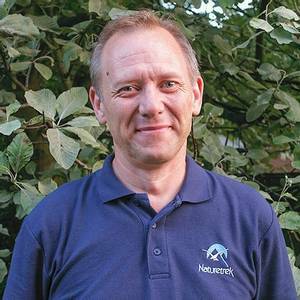 Paul was one of the first members of staff to join the Naturetrek team. 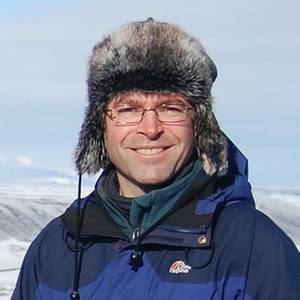 He graduated in Environmental Biology from Plymouth University in the summer of 1995 and, after travelling in South East Asia for the rest of that year, joined Naturetrek in January 1996. 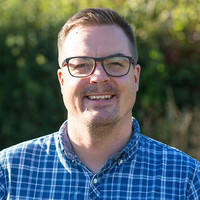 He now works as operations manager and lives in the village of Greatham in the heart of the Hampshire South Downs with his wife Emma and two boys. 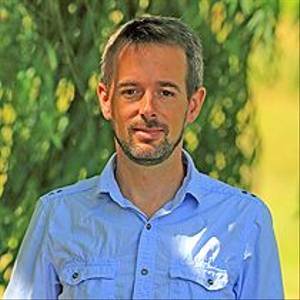 Paul spends much of the year based in our Chawton office and looks after an ever-growing portfolio of Naturetrek holidays, ranging from a long weekend in the New Forest to three weeks in New Zealand. He is still let out occasionally, however, and leads a couple of tours a year. 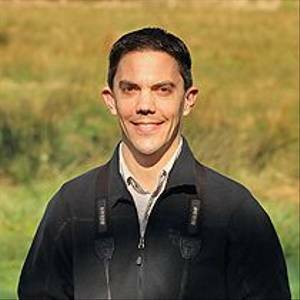 Paul's interest in birds developed at an early age and has since broadened into a love of all wildlife. He has travelled widely, having visited all seven continents, but still looks for any excuse to return to western Canada and the polar regions, his favourite destinations. It would be hard to find someone with a more knowledgeable understanding of India, Sri Lanka, Nepal, Burma and Bhutan than Rajan. Born and raised in India as a member of one of Kashmir’s prominent families, he has excellent connections and uses them extensively to experience the full gamut of what the country has to offer. 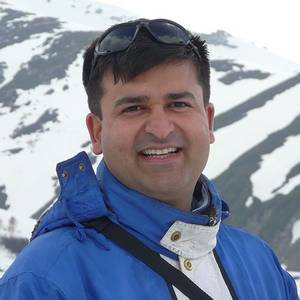 Rajan has travelled throughout India and the world, and has worked in the travel industry for the past 24 years, nine of which were based in India. His passion is logistics and complex itineraries which, through his intimate knowledge and in depth comprehension of the idiosyncrasies of the Indian subcontinent, he can ensure flow effortlessly. His vivacious and bubbly personality, as well as his profound understanding of the traveller’s requirements, are a major asset to the company. Rajan graduated in Business Studies and also has a diploma in Travel and Tourism from Delhi University. He has led many Naturetrek groups to India and always been lucky in seeing Tigers! Tom has been fascinated by wildlife and the natural world since childhood. At primary school he learnt all the British bird species, and he’s been watching and enjoying them ever since! Trips to the Wildfowl and Wetlands Trust (WWT) Slimbridge further fuelled his passion for birds and, when Tom’s family bought 10 acres of land, he created his very own nature reserve on it! After gaining a degree in Biology from Exeter University, Tom set off in search of some of the planet’s incredible wildlife, first travelling slowly around the world, and then returning to Australia. As well as seeing a wonderful variety of the world's birds on his travels, he also spent a lot of time beneath the surface of the ocean – scuba diving in Thailand, Australia and Fiji. Two of Tom's many highlights were getting close to mighty Bull Sharks and swimming alongside gigantic Whale Sharks. 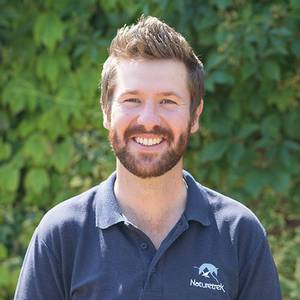 Since returning to the UK, Tom has worked in various schools running wildlife clubs and also worked at WWT Slimbridge. 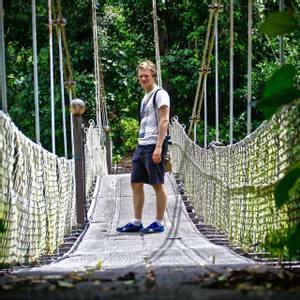 Tom joined Naturetrek in 2013 and now manages a diverse portfolio of tours to a wide variety of destinations including Brazil, Borneo, Guyana, Jamaica and several European countries, focusing primarily on birds and mammals. 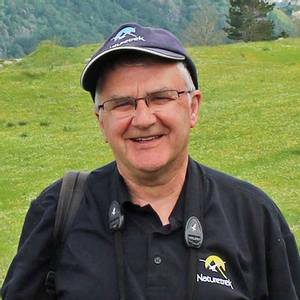 Tom has also now led over 40 holidays to 30 different destinations for Naturetrek, from spring birding trips to Spain, France, Portugal and Albania to dedicated mammal-watching tours in Poland, Finland and Sweden amongst other countries. The world’s ‘Big Cats’ are another of Tom’s passions and he regards time spent in the Brazilian Pantanal searching for Jaguars and India tracking Tigers as some of his most exciting recent wildlife adventures. In any spare time Tom is happiest out in the field working his local patches around the Cotswolds in his home county of Gloucestershire, and he enjoys sharing his passion for the natural world whenever possible. A love of the outdoors began at an early age for Kerrie, when the school holidays were spent at her Swiss grandparents’ flat, walking (in summer) or sliding (in winter) through the mountains. Kerrie’s love of alpine flowers and mammals exists to this day, and her passion for wildlife and the environment led to a degree in Biology at Durham, followed by a Master’s in Sustainability. 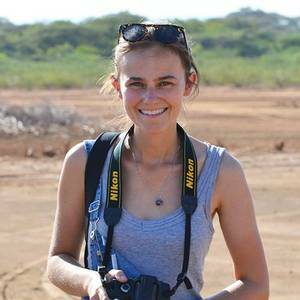 Degrees successfully gained, Kerrie took off for Madagascar where she spent three months working on a conservation project – chasing snakes, chameleons, butterflies, and lemurs through the forests (to identify them! ), and eating enough beans and rice to last a lifetime. 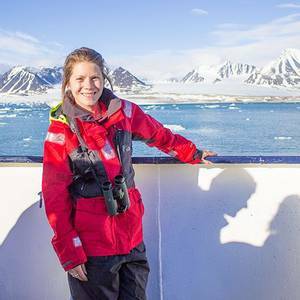 Kerrie joined Naturetrek in 2012, and now looks after a diverse portfolio of holidays to East and West Africa, Madagascar, numerous spring birding and botanical holidays around Europe, our collection of tropical cruises … plus a few other destinations, from Mexico and Monterey Bay to Mongolia! Kerrie lives just over the border in Surrey with her husband and young daughter, and ventures abroad to recce new destinations and lead our tours whenever she can. David joined Naturetrek in 2016 and is our resident astronomy expert. His enthusiasm for astronomy started at an early age when he learnt the constellations by locating the planets, galaxies and nebulae with his telescope. As an undergraduate, reading Mathematics and Physics, he took courses in astrophysics and became chairman of the university’s Astronomical Society. For the past 10 years David has worked in the travel industry and, during that time, he has organised and led many astronomically themed tours. He has seen eight solar eclipses and spent many nights viewing the spectacular Northern Lights from northern Iceland – one of his favourite places. David has travelled to 70 countries on all seven continents, combining his love of wildlife and star-gazing; during a recent winter trip to Norway (looking for Orcas and Humpback Whales) he saw in the New Year with a spectacular Northern Lights display as a backdrop. David works in our busy Operations Department, where he manages a portfolio of astronomical and wildlife tours to many destinations including one focusing on seeing the total solar eclipse in Chile in 2019. Georgie has been captivated by wildlife and travel from a young age. As a teenager she was lucky enough to visit a number of wildlife hotspots including South Africa, Sri Lanka and the rainforests of Borneo. 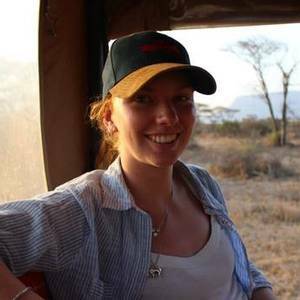 During her gap year she worked for a conservation project in Kenya’s Tsavo West National Park monitoring elephant herd movements. 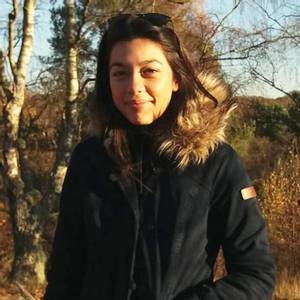 She then spent some time in Australia before returning to the UK to study Zoology at the University of Southampton; her dissertation focused on the effect of forest management on small mammal populations in Dorset’s Wareham Forest. After graduating, Georgie headed for South America where she worked for a conservation organisation in Peru’s Manu Biosphere Reserve. After working for two years in our busy Reservations & Customer Support Department, she has now moved to join our Tailormade holidays team. Lara’s love of the outdoors and wildlife began early in life with her grandparents taking her to Skokholm Island in Wales to see the Puffins and other seabirds during school holidays. She later completed her Duke of Edinburgh Gold Award including an expedition to Norway circumnavigating the Hardangervidda glacier. Later at Liverpool University her placement year allowed her to travel further to Madagascar for three months focusing on forest conservation, while a university expedition to Santa Rosa National Park, Costa Rica, was a unique experience to study the species which rely on fruiting trees. Her Master’s degree in International Nature Conservation further allowed exploration including Fiordland in New Zealand, the outback desert in Western Australia and Periyar Tiger Reserve in Kerala, India. Most recently she was part of the winter survey season radio-collaring our most endangered British mammal, the Scottish Wildcat. Lara is a member of our Tailormade team, working to craft unique and memorable wildlife holidays for our clients. David was born in Meriden, Warwickshire but has lived most of his life in West London where he worked for the EMI music company in their Artist Royalties division before re-locating to Hampshire. An interest in birds began at an early age when he saw, the then, very rare Red Kite on a family holiday in Wales. The bird interest grew and has subsequently broadened to encompass all forms of wildlife and has been the prime motivator for extensive travel both in the UK and overseas to such places as Europe, Chile, New Zealand and Namibia but with a particular fascination for the Polar regions, North America and India. The first of these complements his interest in early polar exploration which has included trips to see Amundsen's ship "Fram" in Oslo and Shackleton's open boat the "James Caird" as well as a landing on Shackleton's infamous Elephant Island. His ambition is to visit the Antarctic base huts of Shackleton and Scott! 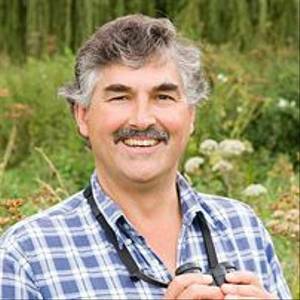 Nearer to home David's interest in photography has seen him travel around the UK photographing plants and insects and he is a very active member of various conservation bodies for plants and butterflies helping to preserve their remaining precious habitats. 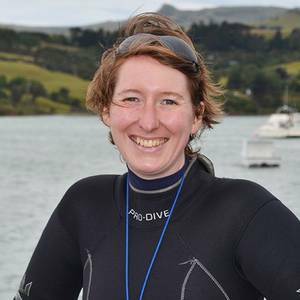 Rhiannon has always been interested in wildlife and has spent her holidays traveling all over the British Isles - from the Outer Hebrides, to Land’s End and the south of Ireland, watching an abundance of birdlife, seals and dolphins and exploring vastly different habitats along the way. She has recently returned from The Bahamas, where she became particularly fond of sharks, Green Turtles, flamingos and hummingbirds! After gaining a degree in Law at the University of Southampton, she took a gap year to return to her first passion, wildlife and conservation, and volunteered in Grenada, the Caribbean. Here, she trained as a diver and assisted with conservation efforts to protect the fragile coral reefs, including lionfish containment. 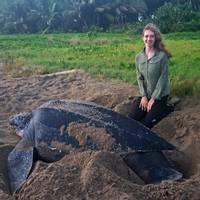 She also helped protect nesting Leatherback Turtles by taking part in night patrols and collecting vital data on these magnificent creatures, as well as counting eggs, moving nests and deterring poachers. She joined Naturetrek’s busy Operations Team in March 2019, and is very excited to be working in the wildlife travel industry! 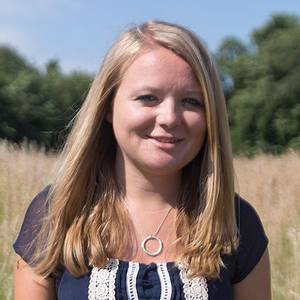 After growing up in our neighbouring Georgian market town of Alton, her interests also include volunteering at the nearby Chawton House, which was previously owned by Jane Austen’s brother, Edward, and welcomes visitors to visit its library and gardens. 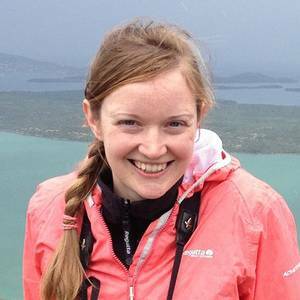 Alison grew up in Aberdeen and, from an early age, enjoyed exploring new places, and doing outdoor activities. She was fascinated by nature as a child, and inspired to learn more about the natural world by Gerald Durrell’s books. 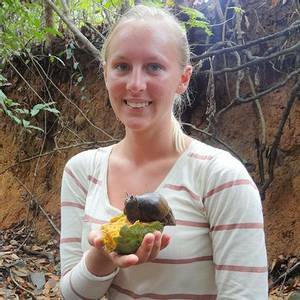 During her BSc in Zoology at the University of Glasgow, Alison spent her summers working on various conservation projects; these included a 2-month stay in Ecuador studying hummingbirds, and four weeks in Indonesia monitoring bats, tarsiers and coral reef systems. Her travel experience also includes a 6-week trip to New Zealand which involved studying the natural history of country. 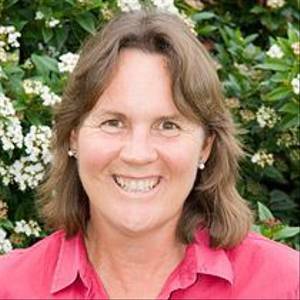 Alison has worked as an outdoor pursuits instructor specialising in walks, canoeing and environmental education. Alison has a bird-ringing permit, and in her spare time she also finds time to enjoy reading, watching wildlife, cooking and photography … and has recently attended a nature photography course. Ben first discovered his love of natural history in the Galapagos Islands, where the wildlife is so abundant that you have to be careful not to step on it! He was 12, and has since spent a great deal of time exploring the wilder parts of his home county of Dorset, as well as venturing further afield. He studied Zoology at Cambridge, before spending a couple of years travelling independently in search of wildlife, including spending three months filming his own short wildlife documentary in the Kruger National Park. Some of his many memorable encounters include: Pangolin in South Africa, Orangutans in Sumatra, Baird’s Tapir in Costa Rica, Pygmy Elephant in Borneo, Great White Sharks near Cape Town, Gorillas and Chimpanzees in Uganda and Platypus in Australia. In 2017 he began a master’s degree, during which he studied the hunting behaviour of African Wild Dogs, and attempted to map the historical distribution of the (probably extinct) Slender-billed Curlew! 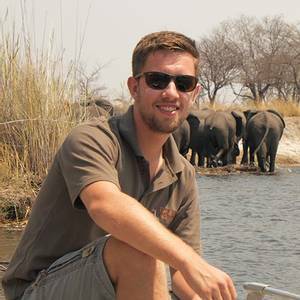 He is now excited to have joined the busy Operations team at Naturetrek, where he works on a variety of tours to Africa, Asia and the Americas. Outside of work, he maintains a passion for sport and music, and recently combined the two by cycling with four friends from John O’Groats to Land End, singing a concert every evening in aid of the mental health charity ‘Mind’. After studying Travel and Tourism at college, Hayley worked in insurance for 17 years. However, after having children she decided to return to her first passion – travel – and she joined our busy Reservations & Customer Support team in 2016. Hayley has visited many countries in Europe and, with friends and family in the USA, she visits the eastern seaboard regularly where she enjoys watching bears (Shenandoah National Park, Virginia), dolphins and other wildlife. A recent trip to the Maldives – where Hayley snorkelled with rays and saw a Black-tipped Reef Shark nursery – has ignited her interest in tropical destinations; the rainforests of Costa Rica and seeing Red Pandas in the wild are next on her wish list! At home in Hampshire, she enjoys walking on the South Downs and along local beaches, as well as family trips in her camper van. Julie was born in West Sussex and brought up in a farming family. Her childhood was very much spent close to nature and wildlife. Since then most of her working life has been spent in the travel industry, with a break to raise her family. 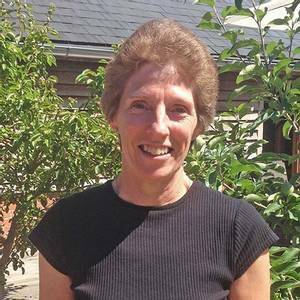 Julie loves the outdoor life and gardening is a particular passion. She has visited several European countries, and she particularly enjoys the floral and cultural aspects of a place when travelling. 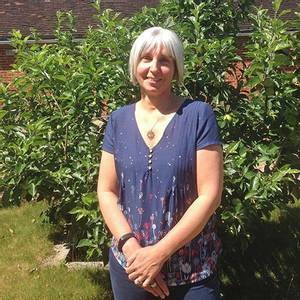 After many years spent living in the north of England, Julie moved back south to Hampshire and joined the Naturetrek team in 2005. She arranges the flights for a very wide range of tours, including all those to northern and eastern Europe, Africa, central and South America, parts of Asia and Australasia. As a nature enthusiast, Jennie has always striven to find opportunities to immerse herself in work with wildlife. Her degree in Zoology and a sense of adventure, along with a love and respect for wildlife, has taken her to several areas across the globe including Kenya, Ethiopia, South Africa, Guyana and Borneo. As part of a scientific research team, Jennie trained and worked in the field with the wildlife native to these countries, which allowed her to not only explore the local flora and fauna, but to also learn diverse cultures, cuisines and environments. These experiences have only increased her passion for seeking fantastic wildlife travel experiences, and since joining the busy Operations and Flights team at Naturetrek, she’s added a few more destinations to her wish list! 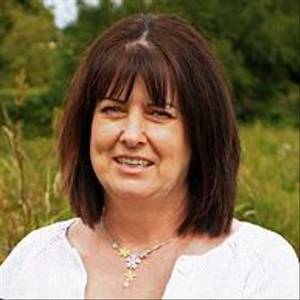 Linda has worked in the travel industry since 1996, joining Naturetrek in February 2008 after working for Travelbag, Ebookers and Lastminute.com. She feels it is a great job, not only because of the fantastic people she works with but because she loves the variety of wildlife trips that Naturetrek offers. She always enjoys hearing about people’s previous trips and enjoys sharing her own travel experiences. She has travelled to Australia, Hong Kong, Singapore, Antigua, Barbados, Bahamas, St Lucia, Tobago, Switzerland, Germany and other parts of Europe. Her favourite country has to be Australia for its pure beauty and wildlife. She has travelled across the tablelands of Queensland, snorkelled on the Great Barrier Reef and seen some amazing marine life and other wildlife there. As ticketing manager for Naturetrek, Linda maintains direct correspondence with such major airlines as British Airways, Air France and Emirates, booking and ticketing flights for Naturetrek clients. Linda lives in Alton with her husband, Richard, and has two grown-up sons and two grandsons. Realising at school that Spanish was easier to learn than French, Barney went onto develop a great interest in all things Iberian and Latino, after a gap year in South America teaching English in Paraguay and travelling to its neighbouring countries, including a week in the wilds of the Pantanal. He went on to read Latin American Studies at the University of Essex, spending a year in the Yucatan Peninsula, where he discovered just how amazing Mexico is! With a background of working for specialist tour operators he has been fortunate enough to have travelled to places such as Chile & Easter Island, Guatemala & Belize, Egypt, Syria and Oman. However, the most amazing travel experience was in Namibia, searching for the bountiful and wonderfully preserved rock art and spending time in Etosha National Park, with a Black Rhino lumbering out of the bush right in front of the vehicle. Just as happy laid on a sunbed reading a crime thriller, as hurtling down the slopes on a snowboard, he’s keen to reinvigorate his interest in natural history at Naturetrek, having grown up with many a day spent at an RSPB reserve. He performs a variety of roles including Private Groups and industry compliance. 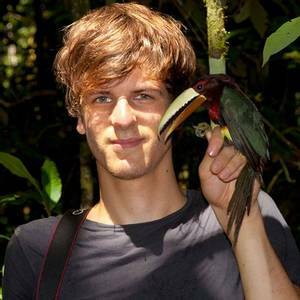 After completing a degree in environmental sciences at the University of East Anglia, Tom volunteered for the conservation organisation Fauna Forever in the Peruvian Amazon rainforest. This allowed him to rediscover his childhood passion for wildlife and he ended up spending the next three years running a bird monitoring program here. This taught him how to band birds, identify hundreds of species by sight and sound and gave him the time to develop a passion for wildlife photography. Tom made his move to tourism in 2014 when he took a position with SouthWild, spending time in Chilean Patagonia, the Pantanal and Venezuela. He feels a strong affinity for South America but also loves to explore new places and all over the globe. He joined Naturetrek in 2018 and helps to maintain our website and social media.